She was best known to audiences through her appearances in Oxo television commercials and the panel show Loose Women. 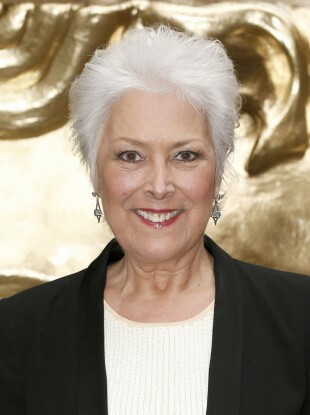 LYNDA BELLINGHAM HAS died after a year-long battle with cancer. The 66-year-old actress and television presenter died in her husband’s arms on Sunday, her agent Sue Latimer said. Bellingham was diagnosed with colon cancer in July 2013 which subsequently spread to her lungs and liver. She decided in September to stop the chemotherapy treatment that she had been receiving for the condition. The actress was perhaps best known for her role as the mother in Oxo gravy stock advertisements throughout the 1980s and 1990s. The role made Bellingham a recognisable face across the UK and Ireland. Bellingham is familiar to more recent audiences for her appearances on ITV panel show Loose Women from 2008 up until the time of her diagnosis. In 2009 Bellingham was a contestant on BBC talent competition ‘Strictly Come Dancing’. She was voted out along with her partner Darren Bennett during the fourth week. The actress was awarded an OBE in the Queen’s New Year’s honours list earlier this year for her charity work. She had been a committed campaigner for Macmillan Cancer Support during her lifetime. The actress spoke about the treatment for her cancer in her autobiography ‘Memoir’ in which she describes the difficulty of fighting cancer and the decision to stop treatment. She is survived by her husband Michael Pattemore and her two children Robbie Peluzo and Michael Peluzo. Email “Actress Lynda Bellingham dies aged 66”. Feedback on “Actress Lynda Bellingham dies aged 66”.